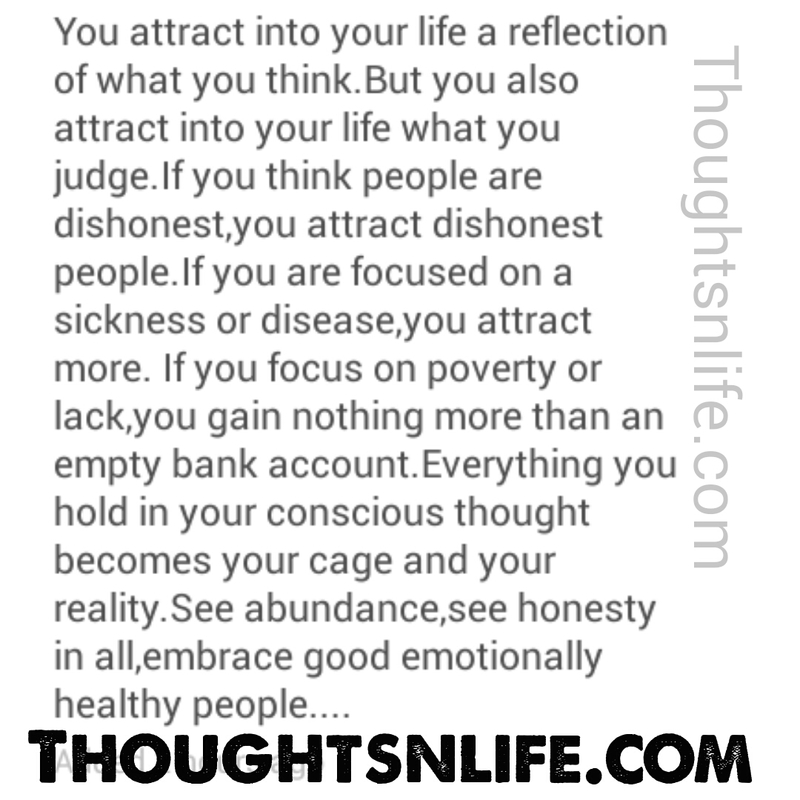 You attract into your life a reflection of what you think. 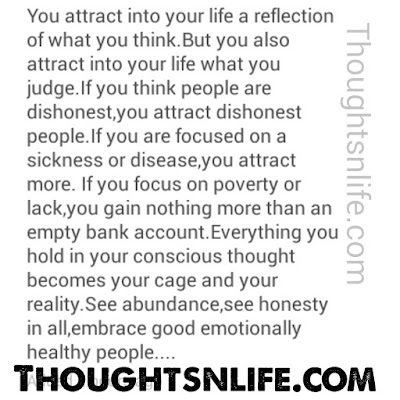 You attract into your life a reflection of what you think. But also attract into your life what you judge. If you think people are dishonest, you attract dishonest people. If you are focused on a sickness or disease , you attract more. If you focus on poverty or lack, you gain nothing more than empty bank account. Everything you hold in your conscious thought becomes your cage and your reality. See abundance, see honesty in all, embrace good emotionally healthy people.